It was only ever a matter of time. Having spent the past few year building a reputation as one of this country’s finest live bands, Brisbane eight-piece tour de force DUBMARINE have hit the next level with their simply extraordinary new long player LASER SOUND BEAM. The band’s second album, Laser Sound Beam finds them moving into new territory. Capturing the legendary energy of a Dubmarine live show, this collection of tracks finds them moving away from their roots in reggae, dub and dancehall and finding a whole new sound that is truly their own. Easily their most powerful studio record to date, Laser Sound Beam is a synth and bass heavy, brass laden record that captures a band prepared to take music in a whole new direction. It’s big, it’s fun, and it’s something you have never heard before. The album will be released in August 8 through digital indie SUGARRUSH Music with singles Beat in Control and Spearchukka setting the scene. Both tracks have been launched to warm reviews and airplay including Triple J and community radio across the country. 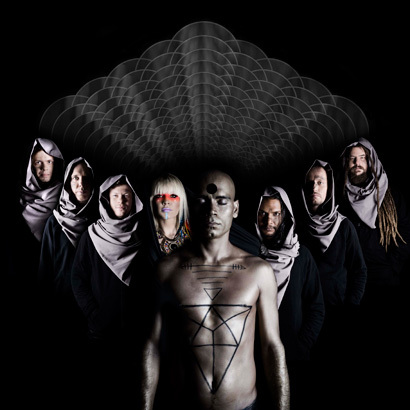 The release of Laser Sound Beam will be celebrated as the band hit the road for the remainder of 2013 kicking off with a run of venue shows and festival appearances including Brisbane’s BIGSOUND and the newly announced Boomerang Festival at Byron Bay. Join DUBMARINE on Facebook here. For Full Tour Schedule & Further info click here.